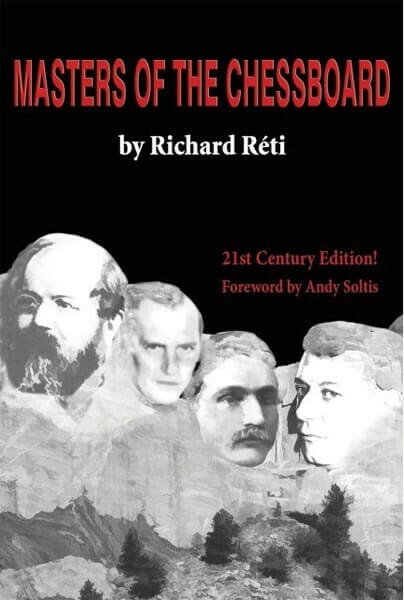 Ask most chessplayers about the works by Richard Reti, and most will quickly reply Modern Ideas in Chess. His Masters of the Chessboard will be a distant second and that is unfortunate, because in many ways Masters is more comprehensive and instructive than its better-known predecessor. He packs it with advice, even for beginners. Opening theory is a priority. Reti tells the student to understand "the basic idea" of each opening, and goes into considerable detail as he explains each of the popular lines of the day, including, of course, his own Reti Opening. Some of the finest parts of the book are the mini-essays, most of them on openings, but also on rook endgames. It's remarkable that Reti manages to do this without going into long variations. This practical approach is also evident when he deals with positional themes. For example, Masters can be appreciated as almost a primer on the subject of how to turn the two bishops into a significant advantage. As noted by American grandmaster Andy Soltis in his Foreword, this entire book is "wonderfully instructive." And now it is available in a 21st-century edition, with figurine algebraic notation, with many diagrams and photos added.